While Disney's Solo: A Star Wars Story was the only movie opening in wide release at the box office over the four-day holiday weekend, it still managed to underperform with the three-day estimates coming in this morning. We had projected that Solo: A Star Wars Story would take in around $110 million over the three-day weekend, but it came in far under that, taking in an estimated $83.3 million domestic and an additional $65 million internationally for a global three-day tally of $148.3 million. 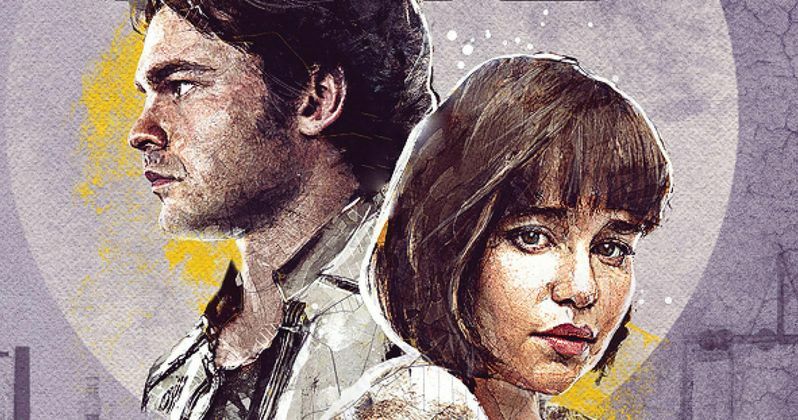 Now the four-day holiday projections for Solo: A Star Wars Story have been updated with the movie now poised to take in $101 million over the four-day holiday weekend. Solo: A Star Wars Story got off to a good start with the Thursday tally of $14.1 million setting a new record for the Memorial Day weekend holiday, breaking the previous record of $13.2 million set by Pirates of the Caribbean: At World's End in 2007. Many believed this new Thursday record would set the pace for Solo to break the all-time Memorial Day weekend record of $139.8 million set by At World's End, but that record is now secure since Solo: A Star Wars Story has severely underperformed. While it will still easily win the extended holiday weekend when the four-day estimates come out tomorrow, the movie is still coming in far under industry projections. Here's what Disney's worldwide distribution chief Dave Hollis, who is leaving this week after 17 years at the studio, had to say in a statement. "(Disney executives will) spend a lot of time digging into every question in every market to get the answer to why Solo so under-performed. We came into the beginning of the year with this one of the most anticipated films. We gotta spend some time looking at the exits and get a better handle on all the questions." Disney's rivals believe that Solo underperforming was a result of Disney "milking the Star Wars franchise a little too much," adding that it was a risky move to release Solo just five months after the last Star Wars movie, Star Wars: The Last Jedi. Many had speculated that Disney would push Solo to December, where it had opened Star Wars: The Force Awakens, Rogue One: A Star Wars Story and Star Wars: The Last Jedi, all of which became the highest-grossing movies of their respective years, domestically. Another unnamed executive thinks Avengers: Infinity War and Deadpool 2 essentially "sucked a lot of wind out of the markets," and that many movie goers likely won't go see another movie now until Jurassic World: Fallen Kingdom next month. Hollis also added that he doesn't believe that "franchise fatigue" was a factor, adding that Marvel has released Thor: Ragnarok, Black Panther and Avengers: Infinity War all within months of each other and they were all big hits for the studio. Star Wars movies don't necessarily depend on overseas markets with The Force Awakens, Rogue One and The Last Jedi taking in less than 55% of their global hauls from international markets. Deadline was the first to report on Solo: A Star Wars Story and its underwhelming debut. Check back here on Monday for the four-day box office estimates.